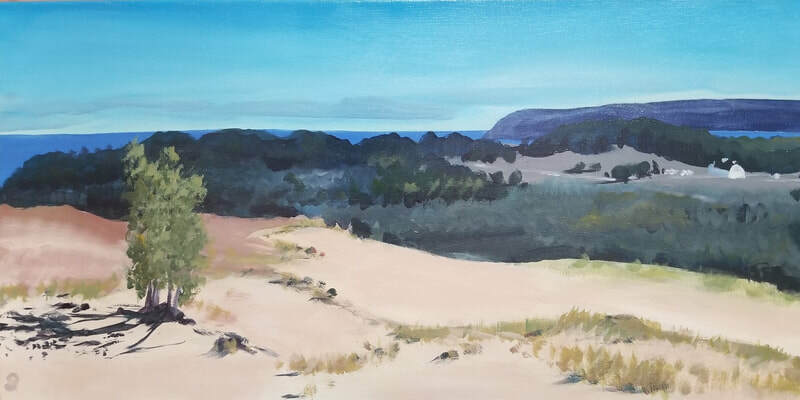 Below are recent studio paintings inspired by Michigan's landscape and lakeshores. Paintings are priced without frames unless otherwise noted. Free shipping in continental U.S. via USPS. Contact me at carolyndamstra@gmail.com, I'd love to hear from you! Click on thumbnail to view larger image.. Early November Approaching Storm. Acrylic, 16" x 20" SOLD! 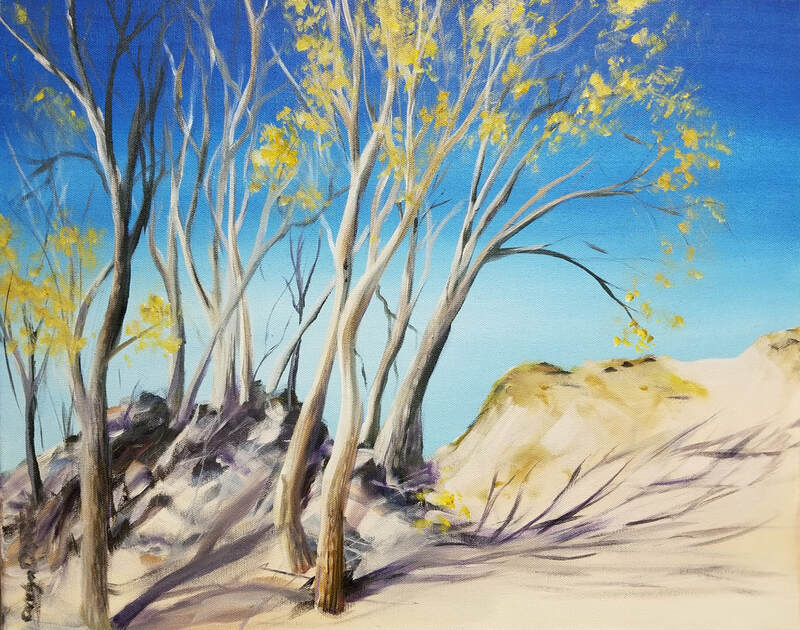 Spring Emerges Along the Betsie Valley Trail Acrylic, 18" x 36" USD $375 SOLD! ​All content on this website is the property of Carolyn Damstra and is protected under United States and international copyright laws. The images shall not be reproduced, stored or manipulated, in any manner, without the express written permission of the artist.